This is our May design newsletter, where I will continue overviewing the influence of YOUR business' brand design on the profitability of YOUR business. Mindful Design is taking care of your home, or your business space, where in return your home (or business) will take care of you - your physical and mental well-being. It is also being environmentally conscious with everything around you. Do you like Yoga? 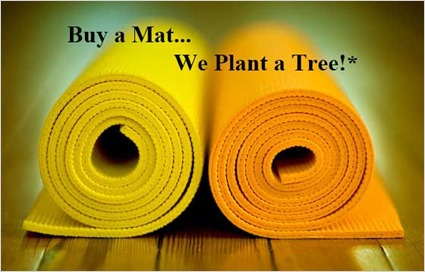 Why not buy a Yoga mat and plant a tree at the same time? Keep reading and see how easy it is to plant a tree on your behalf! This month we are looking for a “space model!” We need a business to remodel and to promote in our “before and after” video which will be featured simultaneously on different websites, such as YouTube, LinkedIn and others. Don’t miss this opportunity to give your business a free marketing boost! Contact us now!!! Yellow tones of the walls bring light and joyful feelings to visitors. White trim and paintings by Daniel Merriam also add more light and traditional character to office of Virginia L. Weber, Inc., a Law Corporation, located in Ocean Beach, CA. Designed by Mindful Design Consulting. Furniture! When selecting chairs, think of how long you would expect or would like your customers to sit in them. Would you want them to feel relaxed or do you want to complete a quick transaction as fast as possible? If you would like promote a sense of trust with your clients, meet with your clients at a round table sitting on the same chairs, not from behind your desk. Talking to someone from behind your desk sends messages of your power and authority over your clients and can make them feel uncomfortable. On the other hand, if you are trying to convince a decision maker to accept your terms, being behind your desk is the best position and will make him/her listen to you. Shape and color of seating can send certain messages to your clients as well. Think if you would want your client to feel relaxed or do you want to complete a quick transaction as fast as possible as you select appropriate seating. In certain situations, music may have a powerful effect on perceptions and behaviors. Thus, defining elements of music such as rhythm, volume or harmony are perceived differently, depending on the listener. Studies have shown that an accelerated tempo and a high volume increase the nervous excitement of an individual, which causes him/her to walk faster, talk precipitately, or eat faster at the restaurant. Without knowing it, individuals tend to adjust their rhythm to the rhythm of music. Retail stores use this technique to influence customers’ buying behavior. We tend to underestimate the influence of smell on generating a certain type of emotional, psychological and behavioral reaction. Studies have shown that customers, in the presence of a perfumed environment, appreciate the store images as being positive, the store décor as being modern and the quality of services as superior. Another major factor impacting any business space is color. Color can be stimulating, expressive, exuberant and symbolic. It is recommended to start your color selection with your brand dominant colors, so as to favor your brand recognition and communion. Starting from brand colors, serious chromatic combinations can be created in order to induce a certain state to customers. Remember, cooler colors tend to calm people down and brighter tones stimulate our senses. You can learn more on color choices here. These stimulating colors in combination with the large scale plants on the wall may make you feel like Alice in Wonderland. 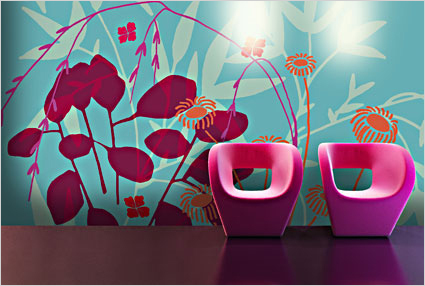 Printed wall coverings by Alyos. A founder of the largest used cell phone retailers, in the process of designing one of his new locations, allowed his customers to create the interior circulation. He did not invite contractors to build any permanent walls until the circulation was established. It was an astounding experiment which made him redesign his other store locations. He realized that placing the service stations closer to the exit as opposed to the back of the store generated more business and attracted more people. 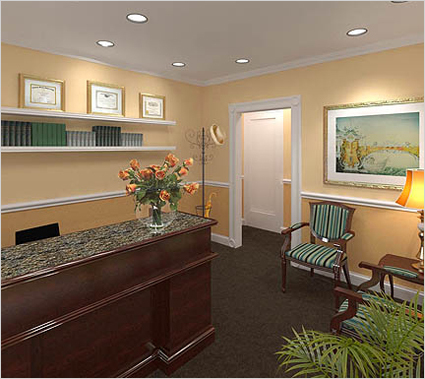 Space organization includes grouping work posts, equipment, placement of cashiers, furniture, organizing departments, posters, panels, the signage system within the commercial space and the use of hi-tech equipment. Functionality refers to the capacity of all these elements to sustain the effectiveness of the operation. Good organization and functionality influences customers’ purchasing behavior, level of satisfaction, the attachment towards the brand and consequently the service’s overall performance. Spatial organization can generate a feeling of closeness towards the brand values and a feeling of security. To promote a sense of trust in your clients, meet with them at a table sitting on the same chairs, not from behind your desk. The use of high-tech equipment can also provide a value-add to for consumers that can help to differentiate a service business from its competitors as well as enhance a client's in-store or in-office experience and consequently reinforce the business' desired brand image. Examples include: public wireless internet access, display of business and financial news on a television or even designated computer terminals for the purpose of allowing customers to carry out certain transitions on their own. Such elements, when implemented properly, can create an appreciation for the effectiveness and efficiency of an operation and create the desire for the customer to return. Finally, when designing your space, ask yourself, "What do I want my customers to see first as soon as they enter my business space?" and, "What is the main message I would like to give to my clients when they visit?" As services are intangible, a good way of making them tangible is through design and interior atmosphere. From this point of view, customers look for brand meanings at the level of performances, materialized through the interior style and design. 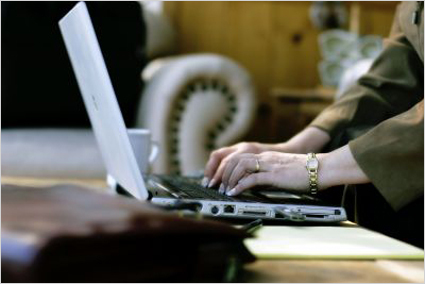 Public wireless internet access, display of business and financial news on a television or any other technology can provide an additional value for consumers. The basic role of the general atmosphere is to create a state of acceptance and appreciation by the customers, with the purpose of obtaining recognition and an eventual sales boost. All the mentioned considerations should be verified and validated among customers by making a study to strengthen the identified correlations. 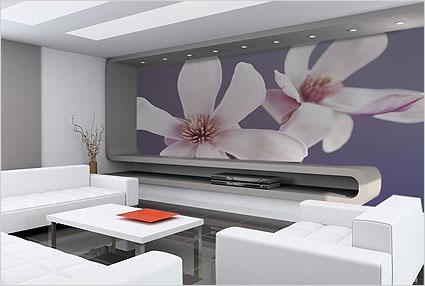 A professional interior designer can help you to achieve all these desired results. "As an individual you have the power to control most of your choices and, in turn, the impact you have on the environment. From where you live, to what you buy, eat and how you shop, your individual choices can have a global impact. That's why "Go Green Yoga Mats" decided to offer green yoga mats that are better for you and the earth..." Read more.